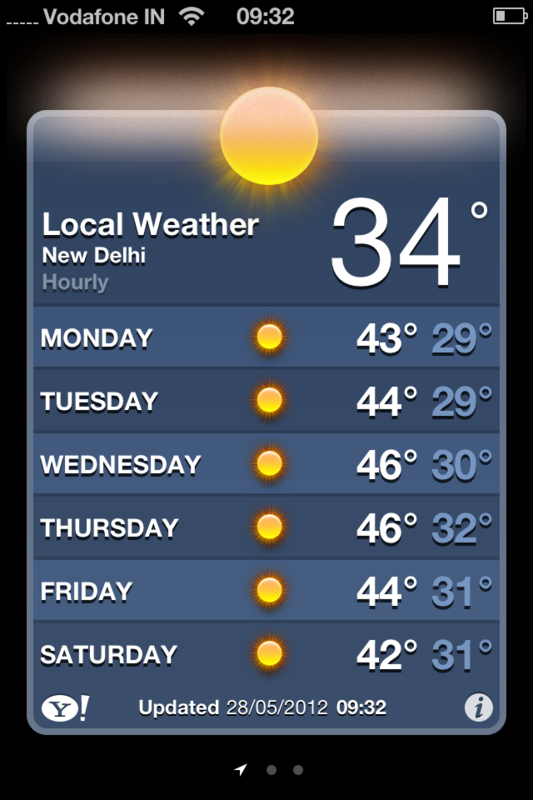 Delhi, a city always threatening to topple headfirst into the hideous, has started to boil. The temperature has replaced bowel movements as the expat topic of choice, the weather forecast shows a line of tiny, unblinking 40°C+ Saurons, and I simmer at inanimate objects in perpetual lethargic rage. The rulers have always fled: the Mughals to Kashmir, the British to Shimla, contemporary elites to the more glamorous American and European cities. Stuck in our foolishly un-air-conditioned flat, we have tacitly agreed not to judge each other’s increasingly skimpy outfits and middle-of-the-night pyjamaed showers. One lucky flatmate’s bedroom has a neurotic AC unit that burps lukewarm air, and during the days I sneak in to press myself against it, dreaming of Pimms on laughably cool ‘summer’ lawns. This is a long way of saying: it’s homicidally hot, and my scalded synapses are stuck on permanent complaint mode. If you thought the gastrointestinal updates were tedious, look away now (there are sweat patches). The only thing preventing me from flying back to Blighty is the fact I belong to a department of international development, where all the other kids on fieldwork get typhus and dodge grenades and are periodically falsely imprisoned in Côte d’Ivoire. They can’t even get internet, not even the ghetto sites like Bing. ‘Uh, it was getting a bit warm’ would reinforce my status as the playground dweeb. So I’ll stick it out—but shaddap about how amazingly hot the UK is! It is the custom of ‘Society’ to abuse its servants,—a façon de parler, such as leads their lords and masters to talk of the weather, and, when rurally inclined, of the crops,—leads matronly ladies, and ladies just entering on their probation in that honoured and honourable state, to talk of servants, and, as we are told, wax eloquent over the greatest plague in life while taking a quiet cup of tea. Preliminaries out of the way, let me get onto the second-favourite topic of everyday expat whining: domestic staff. Chez nous the day begins at an arbitrary time somewhere in the very loose vicinity of 7am, when the doorbell rings. Lounging on the doorstep is Kamala, the most formidable and indomitable housekeeper since, well, my badass Oxford ‘scout’ Sue. Both sneakily chain-smoke, both are utterly unfazed by the motley collection of half-naked refugees who sporadically grace our floors (currently Feckless Brother and an Australian)—and both would pulverise Dominique Strauss-Kahn. This morning, the new Australian came downstairs to where the rest of us were foetally huddling, ‘scoutxiled’, and pointed up at the ceiling—’Did she…? Over all my things…? Without even knocking? !’ We nodded forlornly, as upstairs Kamala’s phone blasted out Bollywood tunes. Kamala is wonderfully no-nonsense: when I was still in denial that I’d killed the second of my plants, she hacked every root and shoot out, and then polished and watered the pot. Despite working in an anglophone flat for two years, she has resolutely refused to learn any English word except ‘Morning’, a greeting which she imbues with such withering diphthongic sarcasm that it sounds like a genealogical insult. I find her Hindi utterly indecipherable (she’s Nepali, like many of Delhi’s domestic workers, and hates the city); she finds mine utterly hilarious and often tells me so. Our interactions are a clash of civilisations in miniature, and we end up head-bobbling at each other—me in confusion, her exasperation. The worst of these involved a sanitary towel. Unfortunately, she pronounced it so that it sounded exactly like the Hindi word for ‘tree’. I was bemused until she did a Michael-Jackson-style crotch grab. We aren’t good people to work for, I don’t think. Most Indians I’ve met treat their staff with great patience, and understand things like when to give festival presents and what recipes to demand and that occasional random days off will be taken. My one Indian housemate doesn’t seem to believe in any of this, and the rest of us are clueless. I’m torn between resentment of a work ethic that involves one day’s work being skipped every fortnight, relief that I don’t have to cook or do the laundry, sympathy for the low wages and dull work, and grudging respect for the fact there isn’t a cowed or obsequious bone in Kamala’s body. So we’ll muddle through for one more month, and when I leave she’ll inherit whichever of my abandoned possessions take her fancy—kurtas, electricity magazines, phone charger, Hindi Harry Potter. And one day I hope she gets, like me, to escape back home away from this infernal city.